The Blaine County Historical Museum in Hailey has nominated four women to its annual Heritage Court, which honors women who have contributed to shaping the history of the Wood River Valley. Dorothy Ann Outzs of Hailey was nominated by the Heritage Court Committee. Her mother and father were members of the original group who started the Blaine County Historical Museum. Outzs returned to the valley after many years in Seattle, and has served on the board of the museum since 1990. “I served as president for five years,” she said, during which time the museum’s infamous mural wall was torn down and repainted by the artist Ralph Harris, who painted the first mural. The Animal Shelter of the Wood River valley nominated Elizabeth “Betts” Simon of Sun Valley. Betts first came to the valley in 1950 and has been a loyal supporter of the shelter, as well the Sun Valley Ski Club, the Wood River Land Trust, the Sun Valley Summer Symphony and the Idaho Conservation League. 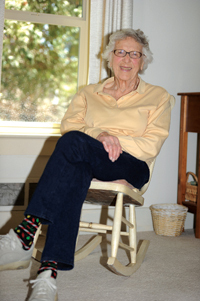 She has lived in the valley for 64 years, and she and her husband built one of the first homes on Fairway Road in Elkhorn in the early 1970s. A special, invitation-only tea party for former and current honorees, hosted by The Community Library, will be held in early June. The ladies will be honored in a ceremony with flowers, entertainment and refreshments at the Liberty Theatre in Hailey on Sunday, June 22. The public is encouraged to attend and show support for the four women.